South Florida Immigration Attorney Isabel Castillo was a panelist at the Community Immigration Forum on Saturday, March 18 at the South Regional Library in Pembroke Pines. The panel discussed the latest developments in Immigration. Additional panelist included Criminal Immigration Attorney William Barner, ACLU Broward President Alexander Johnson, Immigration Attorney Manju Kalidindi and Broward County School Board Member Robin Bartleman. The event was supported by the ACLU Broward Chapter, Nigerian American Foundation, Asian American Federation of Florida – South Region, South Asian Communities, Cosmos, OCA, NANAY and the Hispanic Coalition. Ms. Castillo focuses her practice on helping corporate clients seeking outstanding foreign employees as well as helping foreign investors get the appropriate type of visa to allow them to live and work in the United States. Ms. Castillo also assists clients seeking immigrant visas for themselves and for qualifying family members. She also assists individuals with their citizenship and naturalization. 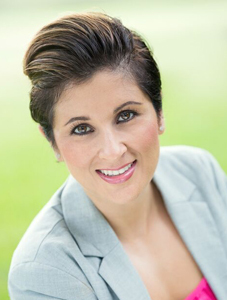 Ms. Castillo is AV Preeminent® rated by Martindale-Hubbell and has served as an officer on the Board for the Palm Beach County Hispanic Bar Association and the South Palm Beach County Florida Association for Women Lawyers. She is an active member of the American Immigration Lawyers Association and the South Palm Beach County Bar Association. The Law Offices of Isabel Castillo, P.A. was founded in 2011. The firm represents corporate and individual clients in a variety of business and family immigration matters. The firm is headquartered in Boca Raton, Florida, at 5550 Glades Road, Suite 500. The attorney can be contacted at (561) 826-9339. Additional information about Isabel Castillo or the Law Offices of Isabel Castillo, P.A. may be obtained from the firm’s website at www.isabelcastillolaw.com.